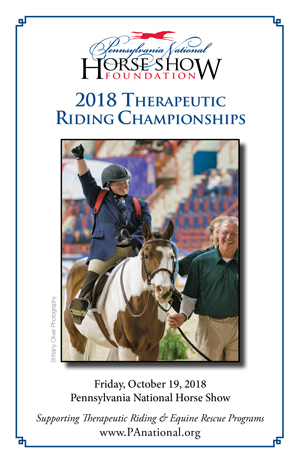 PNHS was again thrilled to host the 2018 Therapeutic Riding Championships! Riders qualified for these Championship classes by competing in any one of the qualifying competitions held at Manito Equestrian Center, Allentown, PA; Friendly Horseman’s Club, Denver, PA; and Leg Up Farm, York, PA.
Riders performed at the walk and trot before judge Renee Poff and were evaluated on their horsemanship and equitation. 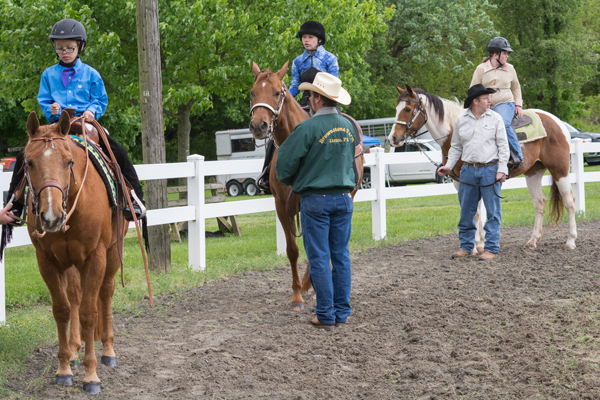 Riders in the assisted class were allowed to have leaders for their mounts and sidewalkers if needed. 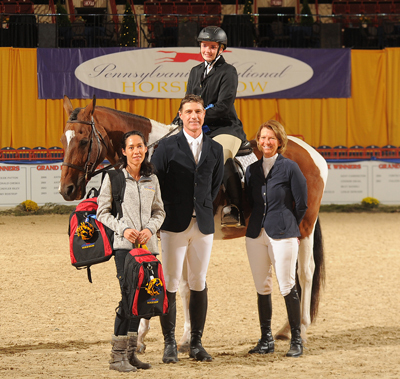 Riders in the Unassisted class performed without help. The Assisted class was won by Charles Turnbaugh on Nimble George from Cumberland County 4 H Boots and Hooves Equine Club. 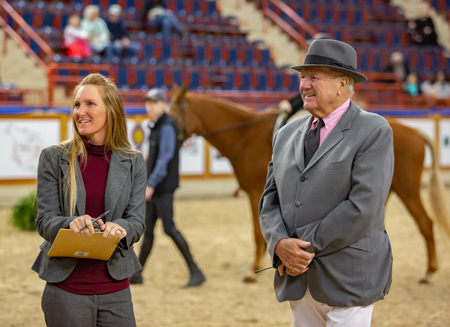 Second place went to Ashlyn Noss on TZF Toby’s Sandy from Leg Up Farm and third place went to Richard Klingensmith on My Impressive Touch from Manito Life Center. The Unassisted class was won by Brianna Bevans on Zephyr from Pegasus Therapeutic Riding Academy. 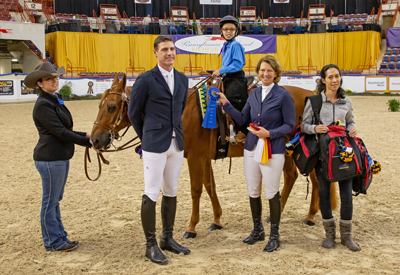 Second place went to Aiden Gill on My Impressive Touch from Manito Life Center and third place was Aaliyah Overton on TZF Toby’s Sandy from Leg Up Farm. The 2018 Pennsylvania National Horse Show Foundation Therapy Horse of the Year award was presented to Randalane Raven’s Exodus, from Manito Life Center in Allentown, PA. ‘Raven’ is a 28-year-old Morgan mare who has been working as a therapy horse for 10 years. She is an exceptional therapy horse, working with both children and adults with all levels of special needs. Raven is intelligent, engaging and sensitive, with the unique ability to sense and predict seizure activity. 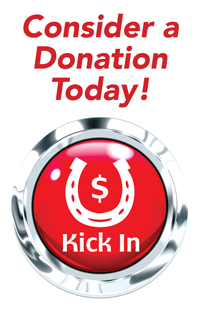 Due to Raven’s ability, many riders who would be unable to safely engage in therapeutic riding have access to this valuable service. Raven has also been instrumental in training other seizure alert horses.